When your sitting at home pondering about how you are going to find a unique angle for your book report, and are drawing a blank for inspiration one way to get ideas is to go read some of the online reviews on that particular book. The reason why online book reviews are useful when writing a book report on a certain piece of literature is because other readers often put there own insights into the reports that they write. We aren't suggesting that you steal someone else unique opinions a novel or important piece of American literature, instead what we suggest is that you use these reports to offer a fresh opinion on the same content that you have just read and interrupted. 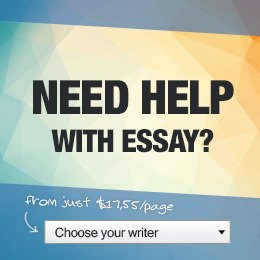 This can be particularly useful when you are not sure how to go about starting your book report, or are looking for some unique way to introduce your thesis. Book reviews may also include thematic elements and point out details that you may of missed, giving you more material to work with in your writing. Many of the in-depth book reviews that you may come across on popular novels and english literature are formatted very similarly to a book report that you may be asked to write for class. This sort of critical writing can occasionally work as an alternative to studying other book report samples on the same novel or story. We've discussed before how young writers can improve their skills by reading samples of other people's work. This applies here as well, you can learn to write better book reports by studying the approach that other writers use when composing full length book reviews. The only thing you need to be wary of is making sure that you give credit if you use any ideas that were not originally your own and cite the reference material accurately even when quoting a book review. If you decide to put book review content into your book report it is okay to do this as long as you let the readers know that is where you obtained those particular details. However, that said book reviews are still excellent brainstorming tools too because they get you thinking critically about the material you have read, while also seriously interpreting another person's point of view on the exact same piece of writing.